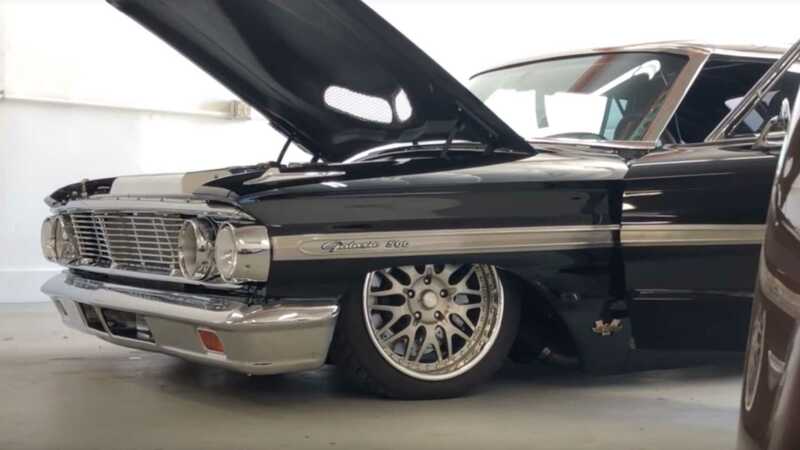 Wicked stance, wide Mickey Thompson rubbers wrapped around massive 20×15 American Legend wheels, and a roll cage jump out to onlookers as a warning that this Galaxie is no ordinary full-size Ford from the ‘60s. 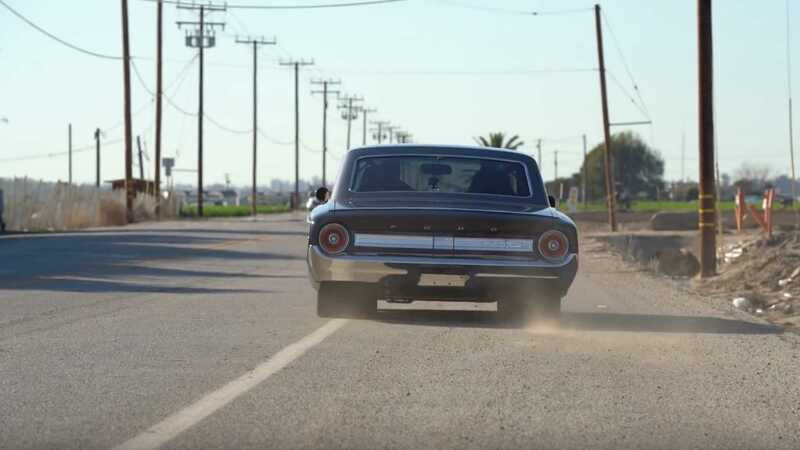 Built by the guys at Bones Fab, this monster was recently profiled on AutotopiaLA, and it's the thing (street) dreams are made of – with tons of power at its dispose. No one is safe. 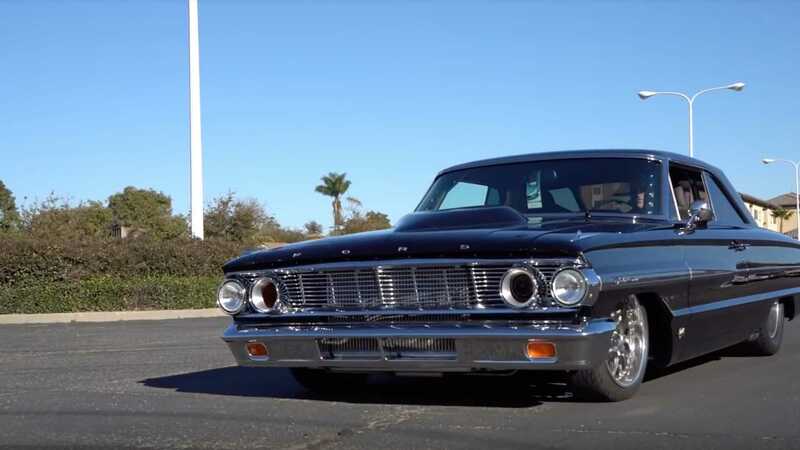 Originally powering this large Ford was a 390 cubic inch engine mated to factory-standard 4-speed manual transmission. 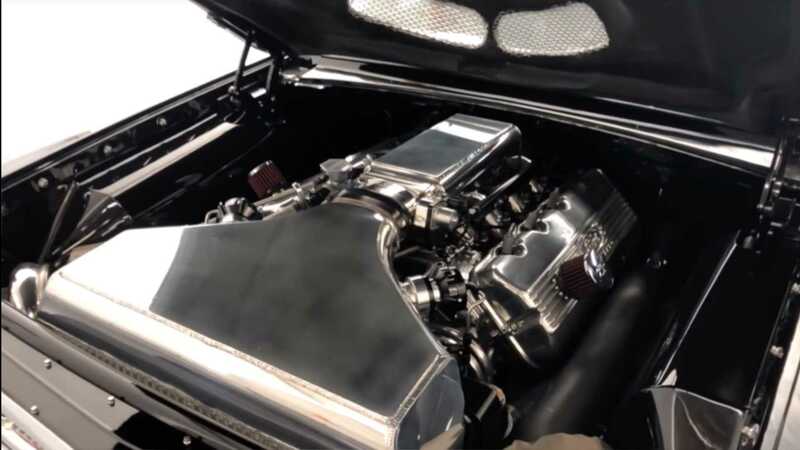 What takes real estate under the hood is now a twin-turbocharged 428 SOHC engine built with a Robert Pond engine block, and is backed by a 4L80E 4-speed automatic transmission from the GM family. 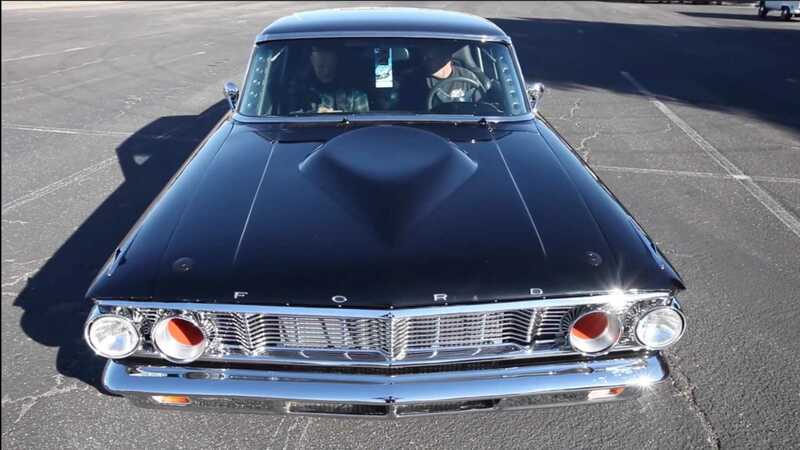 Inside the engine is a Sonny Bryant crankshaft, forged rods and pistons, COMP cams’ camshaft and valve springs, T&D rocker arms, and a Holley EFI system. A pair of Precision 76mm turbos feed the setup, that includes a Bell intercooler and custom fabricated plenum. This all comes together for an output of 1067-horsepower with 11-pounds of boost and 91 octane. No detail was overlooked when building this car - even the turbo inlet cover was made in red to warn people of the turbo impellers. The beefy powertrain/drivetrain feeds into an upgraded rear end, with beefed-up suspension to keep passengers from feeling every bump in the road. 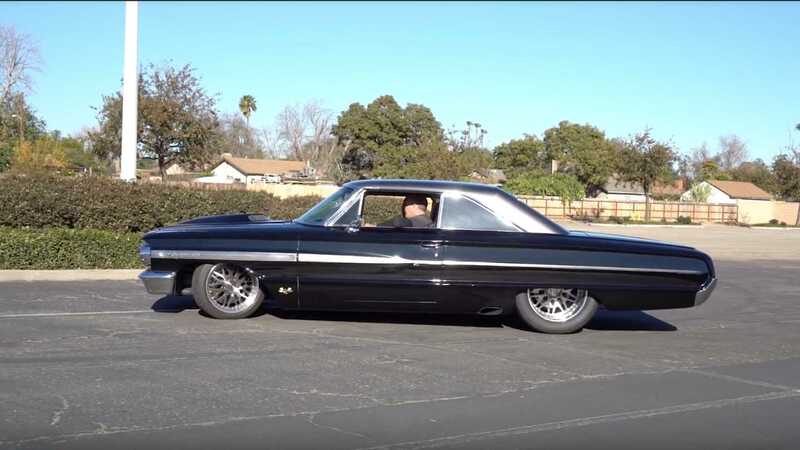 A big emphasis on this build is that neither the owner nor builder wanted to drop an engine in the car that was only tuned for the race track. They wanted to create something that would run on pump gas with its current tuning, but the big tire car can also be fueled up with that sweet smelling race gas and run at the track. 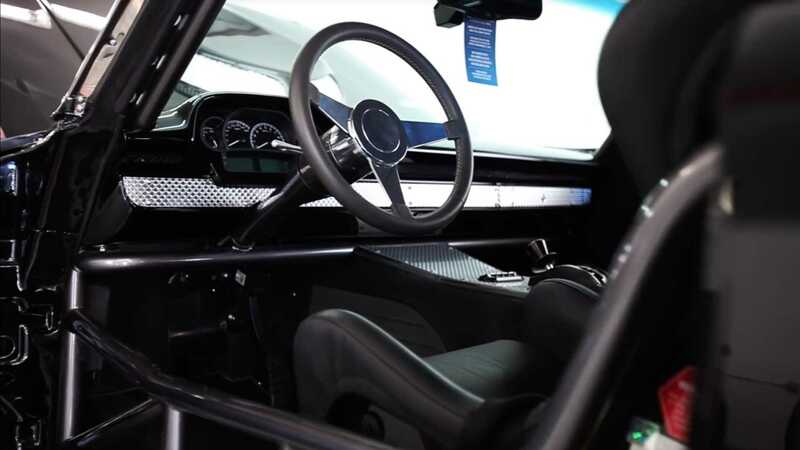 While it’s an insane build, this car is still very much a manageable street car with mild-mannered characteristics that make it handle the street perfectly.